This is primarily a small selection of the many articles written on my favorite subject, as well as resources from other places on the Web. I have adored postal history since my late teens. I wrote almost from the very beginning. Postal history has great potential for collectors who are also fascinated by human studies. I love the stories told by the covers. By the time I am done researching a particular subject, I feel I personally know the families and the subject of my research. And like many authors who are asked to identify their favorite article, I usually say that my favorite is whichever one I am working on right now. One thing leads to another with covers and the most seemingly mundane example suddenly comes alive, speaking to us from the past. I am blessed to have been the recipient of numerous writing awards over the years and was inducted into the philatelic Writers' Hall of Fame of the American Philatelic Society Writers' Unit 30 in 2017, as well as winning four specific literature awards that year. Provenance: Tracing Philatelic Ownership Through Owner and Expert Markings - extensive compendium of markings found on Confederate stamps and covers. An original article illustrating known markings and including detailed vignettes on the collectors, dealers and experts who produced them. Provenance helps establish pedigree and authenticity. Covers or stamps with demonstrable pedigree are more coveted than their mundane brethren. A cover that was once owned by Caspary, for example, really gets advanced collectors excited. An overview of collecting the Confederate era, this article first appeared in Scott's Monthly Stamp Journal in April 1976, describing the the postal history that began when a handful of Southern states first seceded from the Union until the last shots of the War were fired. 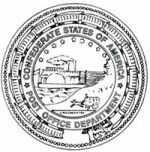 It is a fascinating look at the Confederate postal system which clearly demonstrates why specialists are so passionate about this area of collecting. For a more in depth article on the stamps of the Confederacy, see the "Confederate Stamp Primer Online." Due to the revolutionary nature of the material presented, this article appeared in both The American Philatelist and The Confederate Philatelist at the same time in February 2000 by joint cooperation of the editorial teams. The research resulted in the addition of a completely new section in the Scott Catalogue which immediately precedes the Confederate provisional section. Stamp Collectors Quarterly (formerly Kelleher's Collectors Connection) is a stellar house organ that began in the fall of 2015. It is destined to become "the" philatelic house organ of all time, instantly surpassing the best of all prior works, such as the classic Herst's Outbursts. This slick publication is chock full of fascinating and utterly readable articles that will capture your undivided attention, no matter what you collect. The publication bears the distinctive touch of the premier philatelic editor of our time, Randy Neil. While I have no business association with Kelleher, I am thrilled to be a part of this wonderful endeavor. Links to the Kelleher site with online versions are shown here with permission. My columns on Confederates and the Civil War began with Volume 1, Number 2, although I sometimes stray into non-Confederate subjects as well. Volume 4, Number 4 (4th Quarter 2018) - Dr. Alvinzi G. Thomas "...[with] the sword of Georgia in one hand and the sword of the Spirit in the other." Volume 3, Number 3 (3rd Quarter, 2017) - Underground Code Name "Faithful"
Volume 1, Number 1 (Oct-Nov 2015) - The seminal issue of this new house organ. No Confederate articles. The American Philatelist (AP) is the official organ of the American Philatelic Society. The APS was founded in 1887 and is the world's largest collector organization with members in 110 countries. Founded in 1886, the APS is now in its third century of service to stamp collectors and postal historians. Click here to download an APS membership application in PDF format. With the April 2018 issue of the AP, I have become a regular contributor, although I have contributed occasional articles in prior decades, such as the research on the Madison, Florida, 3c postmasters' provisionals. April 2018 - Civil War Prize Court Mail: Profits and Bounty on the High Seas Led to Philatelic Treasures. September 2018 - Grow My Money! April 2011 - Caf or Decaf? March 2010 - "...any attempt to coerce seceding states would unite them all in one day." September 2009 - Lordy and Neptune…a tale of friendship and loyalty - N.B. Since this column was written, a family member wrote to correct one bit of information printed in the column. Neptune Sr. and Sukey died as slaves on Retreat Plantation prior to emancipation and were never granted the right to choose a last name. It was Neptune Jr. who chose the last name “Small” after emancipation. April 2008 - Dr. Edward G. Porcher - a victim of "the end of the medical Middle Ages"
February 2008 - Wonderful Confederate Valentines! October 2007 - After Union mail service ended...a fascinating correspondence. June 2007 - "Hetty likes them that way: gilt edged with stars!" March 2007 - Ordinary looking cover...to the lady who "danced herself to death"? January 2007 - Specialize in Confederates? These are selected articles from a column I began writing for The Confederate Philatelist in 2013. I have had articles and columns of various sorts in this publication since 1970. The Confederate Philatelist is the award winning official publication of the Confederate Stamp Alliance sent to all members on a quarterly basis. I currently serve as a contributing editor. 4th Quarter, 2016 - Confederate Mail Runner and Spy Lottie Moon Clark and a New Look at the Undelivered Camp Chase Letters - Winner of the best article for 2016. 1st Quarter, 2015 - The Largest Recorded Multiple of a Confederate Patriotic Sticker - Winner of the best article for 2015. 1st Quarter 2010 - New Postmasters' Provisional - Abingdon, Virginia Revalued 5 over 2¢ This article announces a new provisional find and the story of the Hannum family to whom it is addressed. It just goes to show that almost 150 years later, important new discoveries are still being made. 1st Quarter 2005 - William Weaver, Buffalo Forge and Paid Slave Labor New Earliest Known Use for Richmond Print - July 25, 1862* Some additional photos have been added to the online version for those not as well versed in Confederate postal history or just for the pleasure of those who are. It is a perfect example of why this period of history intrigues us. Initially intended to be written as a simple report of a new earliest known usage of the "Richmond Print", it evolved into a fascinating look at the people and history behind the correspondence, effectively putting the "history" into postal history. * N.B. This is no longer the earliest known use. La Posta - The Journal of American Postal History - this wonderful magazine has been published since 1969. They publish informative research by the leading students of U.S. postal history as well as presenting discussions of timely topics and collecting tips. They also publish postal history reference books and monographs as e-books on CD. I began writing articles for them in the 4th quarter issue of 2012. I archive them here for your reading pleasure. 2nd Quarter, 2017 - "Breaking the Rules: A Civilian Flag of Truce Cover"
3rd Quarter, 2013 - A Last Day Cover Sent by the Texas Word Family? If you have a Confederate article you'd like to see hosted on this site, please contact me. Semi-Official Imprinted Envelopes of the C.S.A. Nitre and Mining Bureau - by Thomas Lera. Hosted on this site (see Tom's one frame exhibit on this topic on the exhibits page). Winner of The Confederate Philatelist Writer's Award in 2001. U.S. Stamped Envelopes Used by the Confederate Post Office - by Thomas Lera. Hosted on this site. This is a slightly updated version of Tom's article that was published in 2009 in The Confederate Philatelist, 54(2): 25-30. Arkansas Postal History - Dr. Bruce Roberts' 35 years of accumulated knowledge on the subject. This non-commercial site is dedicated to the accumulation and dissemination of information about the postal system in Arkansas and in Indian Territory. Bruce is the section editor for Arkansas in the 2012 CSA Catalog. The Maury Mourning Covers - An Initial Census and Survey - written by mourning cover collector "Paul Bearer." A thorough treatment of the well-known correspondence of Major Richard Launcelot Maury. Rebel Dollars and Documents, Yankee Stamps - by Michael Mahler. On October 1, 1862, a broad tax program designed by the United States Congress to offset the rising costs of the Union Civil War effort took effect, including a detailed schedule of documentary stamp taxes. In a stance at once consistent and paradoxical, the US government considered these taxes payable also in the eleven "rebellious states" otherwise known as the Confederate States of America. This presentation shows, via intact stamped documents, how those taxes were collected. Okay, so this isn't strictly Confederate, but it is a rich, fascinating and heretofore completely unrecognized subfield of US Civil War era fiscal history. This presentation includes illustrations of 50 documents stamped within the Occupied Confederacy, and 45 more stamped retroactively after the war, as well as a census of all recorded examples in each of these classes. Confederate Postal History of Grenada, Mississippi - William S. Parks. Hosted on the Confederate Stamp Alliance website. To a Confederate Stamp - wonderful ode written and published in July 1893 - really gives one pause. Custodians for Future Generations is the subject of "The President's Prerogative" printed in the third quarter 2008 issue of The Confederate Philatelist. After reading this, one of the editors of the Scott Catalogue emailed to say, "Your PP column in the July-September issue of The Confederate Philatelist should be read far and wide, and not just by collectors of CSA material." Thus so encouraged, I share it here with you. Russian-born novelist and philosopher Ayn Rand was an unusual woman by any standard. She published the best sellers The Fountainhead in 1943 and Atlas Shrugged in 1957, as well as other titles. She was a champion of individualism and lectured on her philosophy of Objectivism. I was fascinated when I first read these works in my youth and, whether you agree with her or not, they are still thought provoking, stirring the brain cells and conversation. Ayn Rand's equally fascinating personal take on stamp collecting and why intelligent people pursue philately as a hobby. To me, it is perhaps the most insightful and accurate view of why philately engenders such passion in serious students. Kaufmann Inducted into Writers' Hall of Fame - Along with Donna O'Keefe Houseman and two late philatelic luminaries, Trish was inducted into the 2017 Writers' Hall of Fame at APS StampShow 2017 in August. Profiles & Leaders | People who have moved the hobby forward - Trish Kaufmann is profiled in February 2014 issue of The American Stamp Dealer and Collector. William H. Gross Stamp Gallery - Smithsonian National Postal Museum Council of Philatelists member and founding donor Trish Kaufmann's personal photo album from the Groundbreaking Ceremony on June 4, 2012 to the Founding Donors' Opening Gala on September 21, 2013. Newly discovered Confederate provisionals sold for $40,000 by Rick Miller - Linn's Stamp News; March 3, 2008; page 16. Rare Victoria provisionals discovered among fakes by Arthur R. von Reyn in The Texas Philatelist May-June 2008 - another somewhat more in depth version of the March 3, 2008 Linn's Stamp News story.